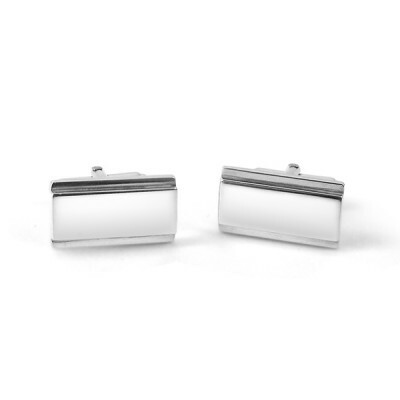 These cufflinks are classic on their own, but can be customized with laser engaging or by adding a birthstone in the corner. Family crests, initials, names, dates, symbols, patterns - anything is possible. The actual cost of the engraving depends on the complexity of the pattern. Send me an email at [email protected] and we can discuss the possibilities! Please note: there is an option below to add engraving for $50. If the engraving is a graphic or a particularly complicated pattern, additional charges may apply. If you have any questions, please contact me by email in advance of ordering.